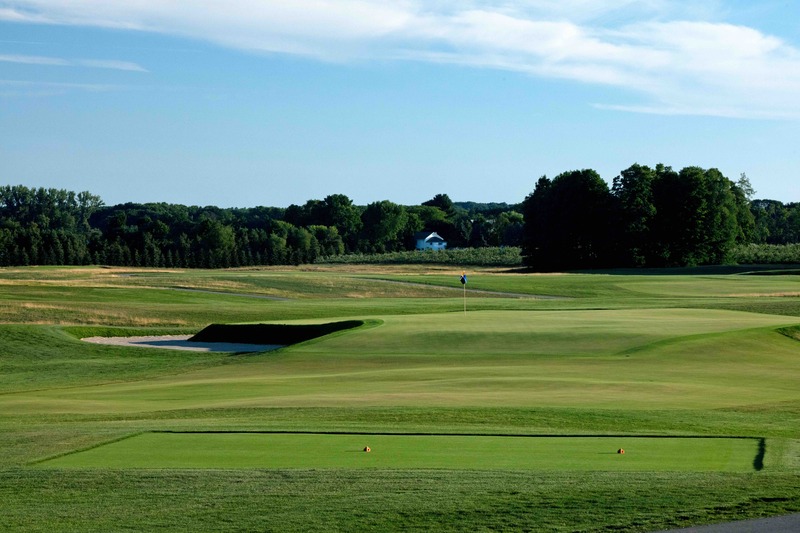 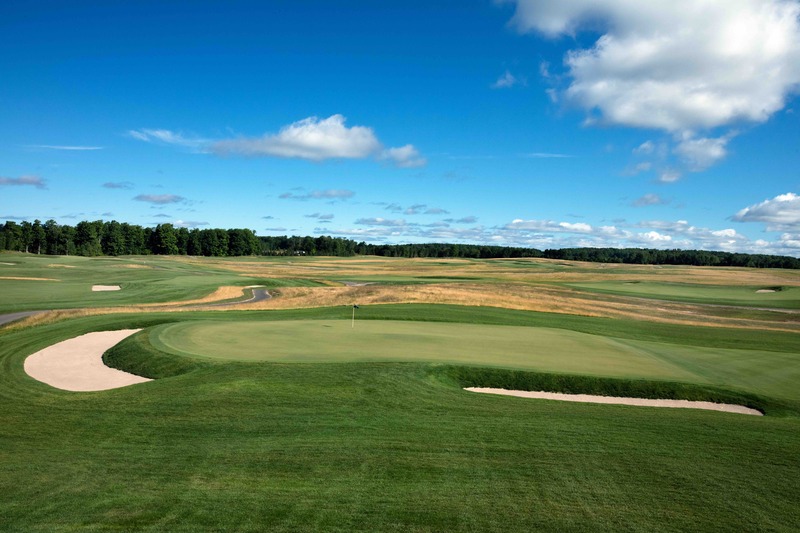 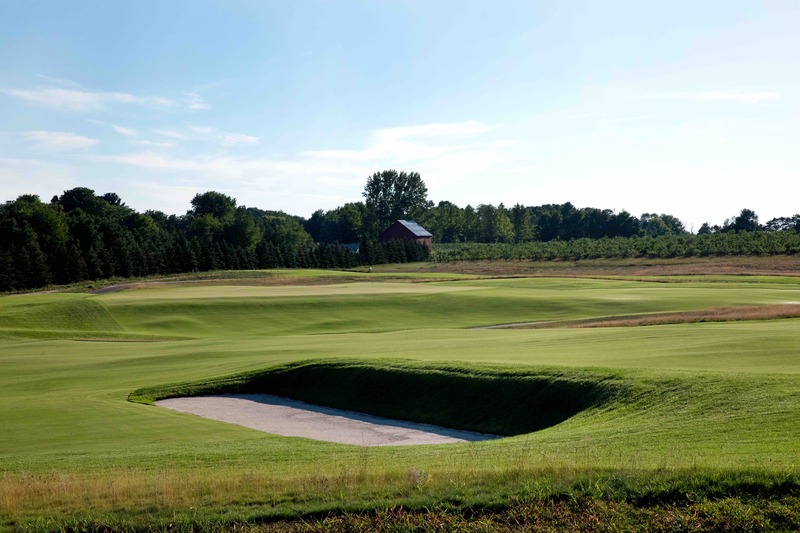 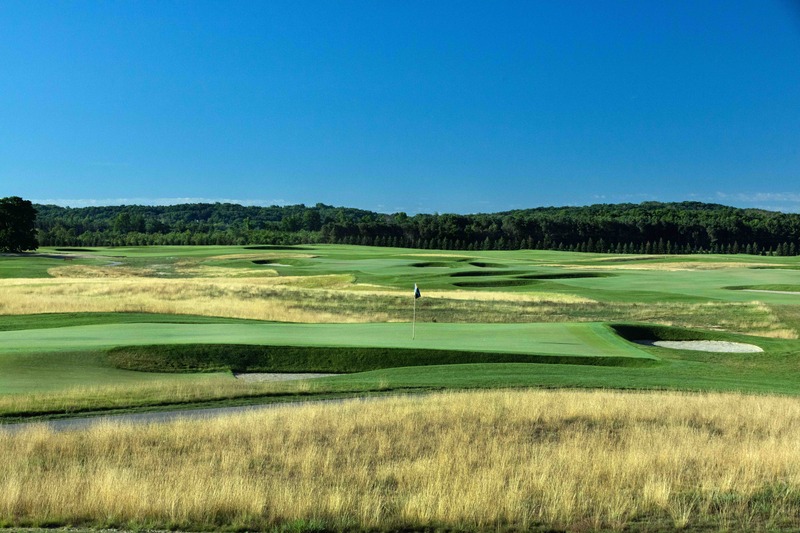 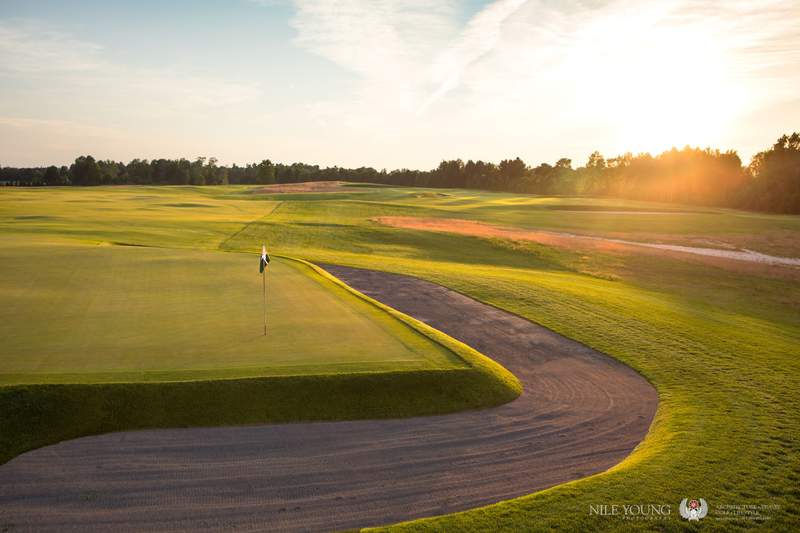 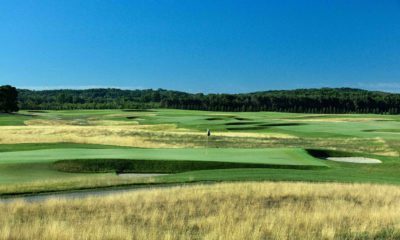 Modeled after the famous Chicago Golf Club, the design objective for the South Course was to strategically position a collection of elements, that while serene in their appearance, would ultimately create a veil of simplicity over the complexity of the challenges that awaited. 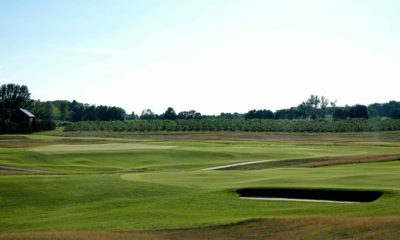 The routing of the South Course is two distinct nine hole loops, each containing a balanced mix of north, south, east and west facing holes. 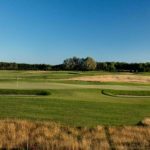 This is particularly important due to the ever present winds across the property. 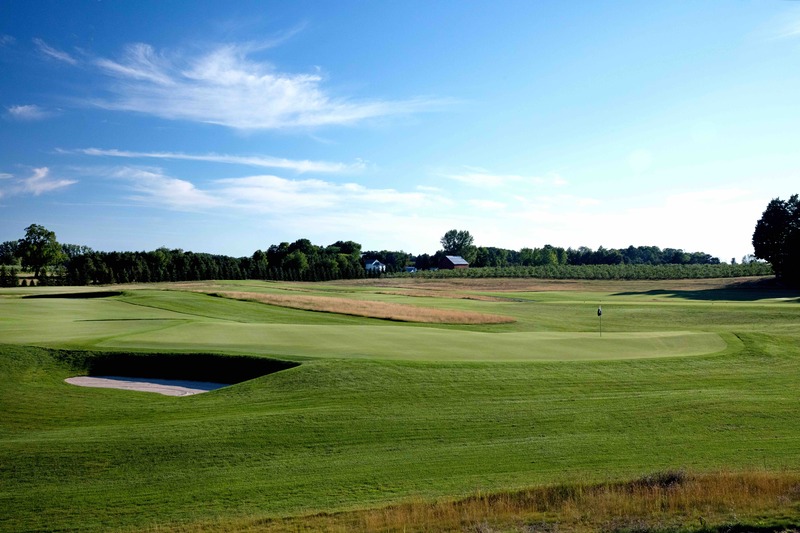 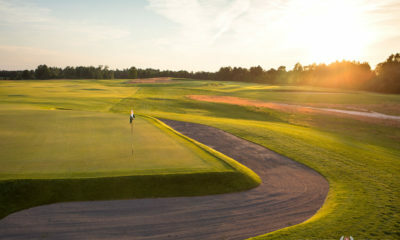 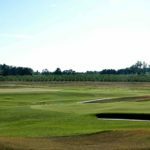 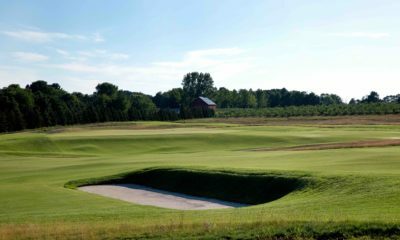 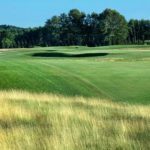 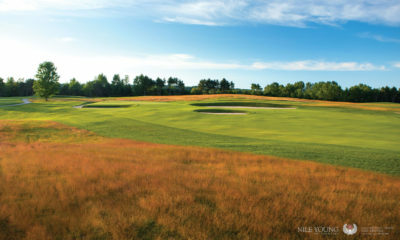 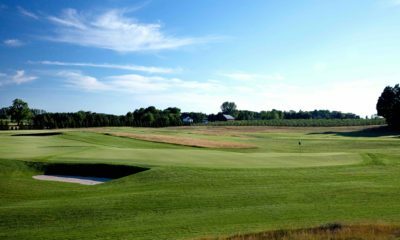 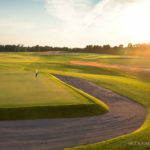 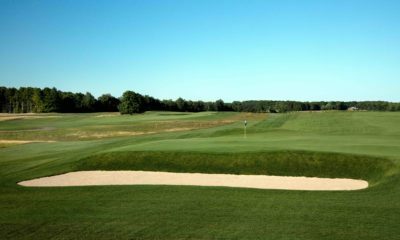 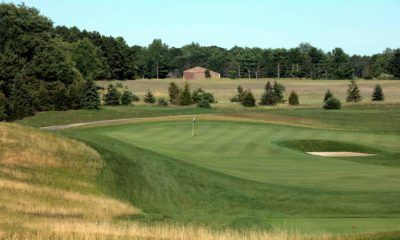 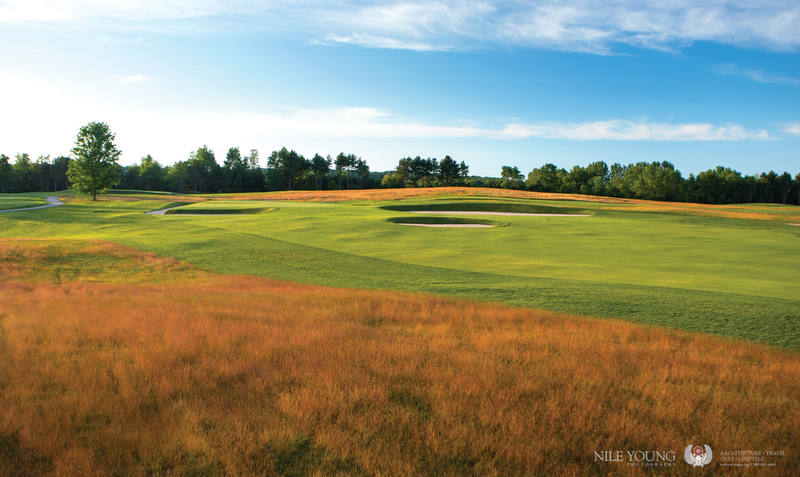 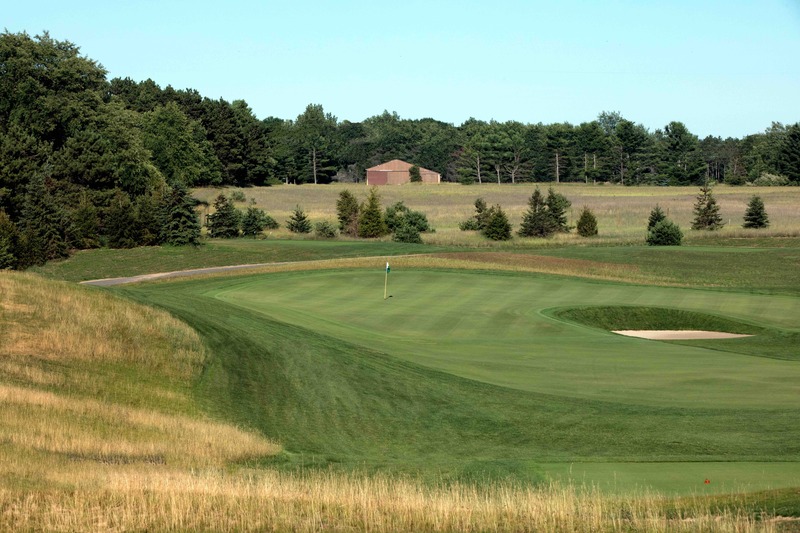 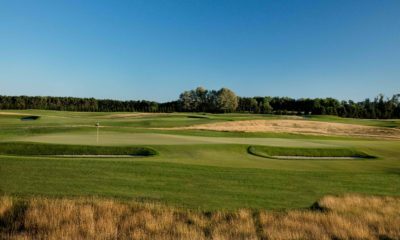 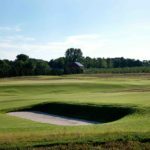 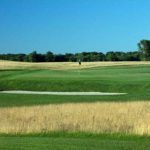 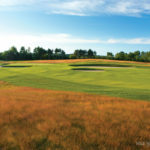 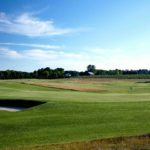 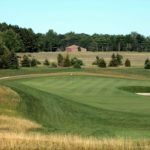 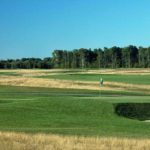 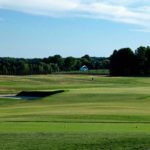 No more than a mile from Lake Michigan, players will be subjected to continually changing winds throughout their round. 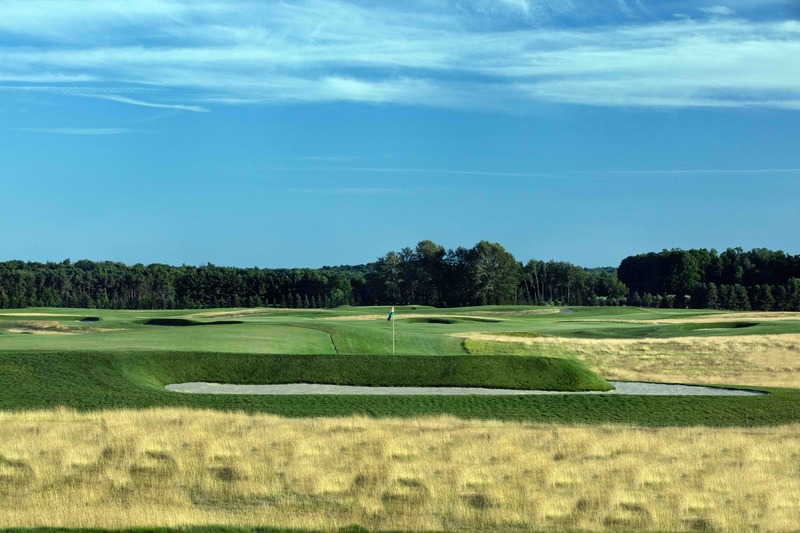 Golfers will notice the distinct lack of trees on the course. 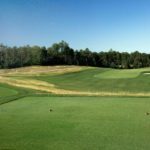 There were no particular specimen trees to begin with and we believed the small trees and scrub had no place on the course. 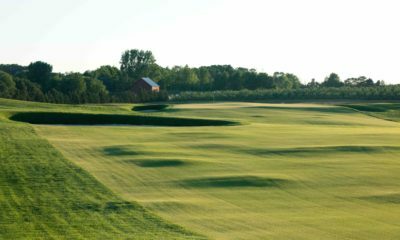 They would have been a detriment to play and had adverse impacts on the wind and views across the property. 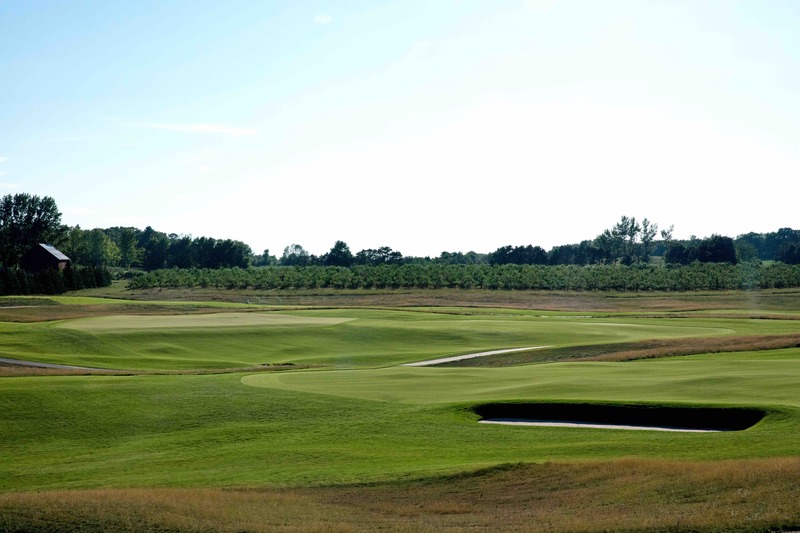 Additionally, there are no naturally occurring water features and none were constructed on the property. 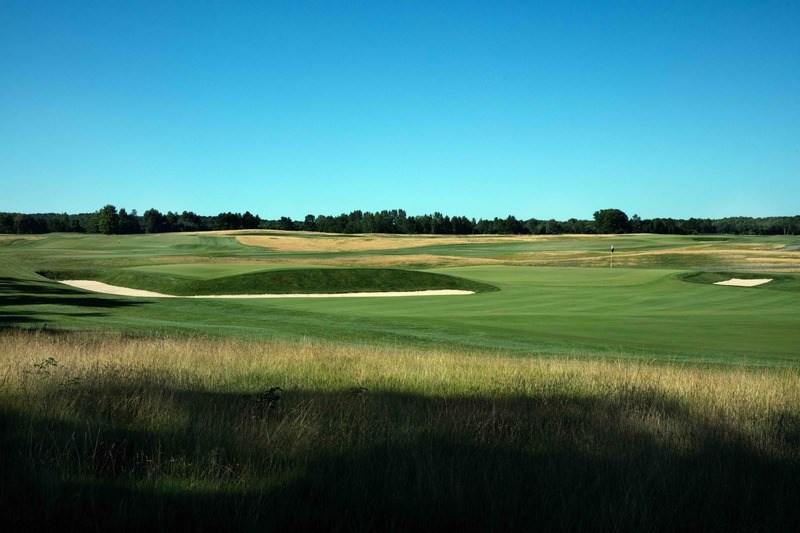 The South Course routing fits harmoniously with its surrounds allowing the natural flow of the land to lead players from one hole to the next and offers unlimited views across the property. 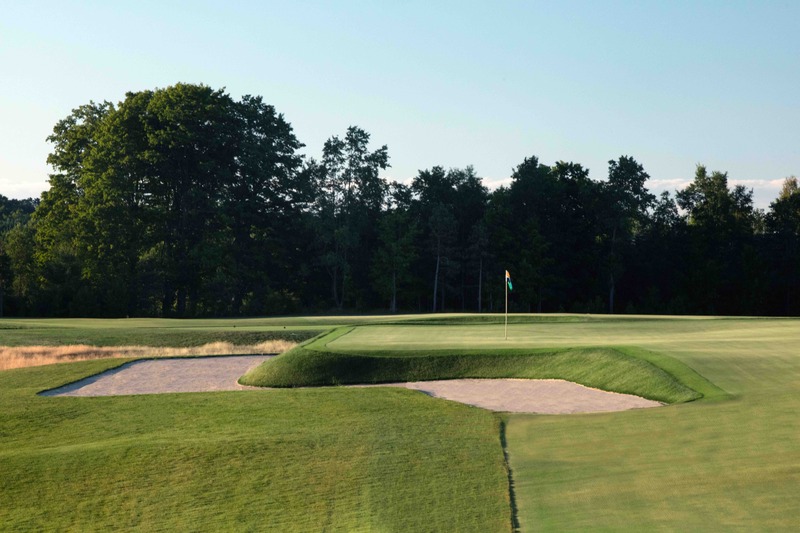 Similarly to the greens of Chicago Golf Club, the greens on the South Course are built up into defined plateaus with greenside bunkers positioned well below the surfaces. 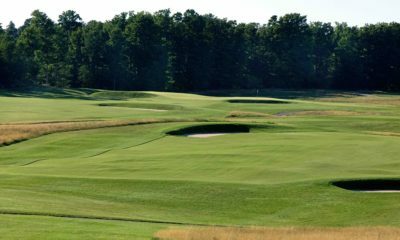 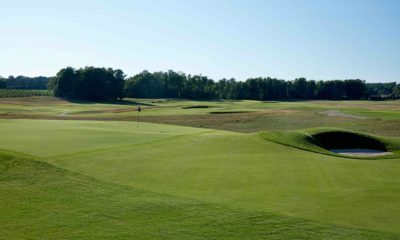 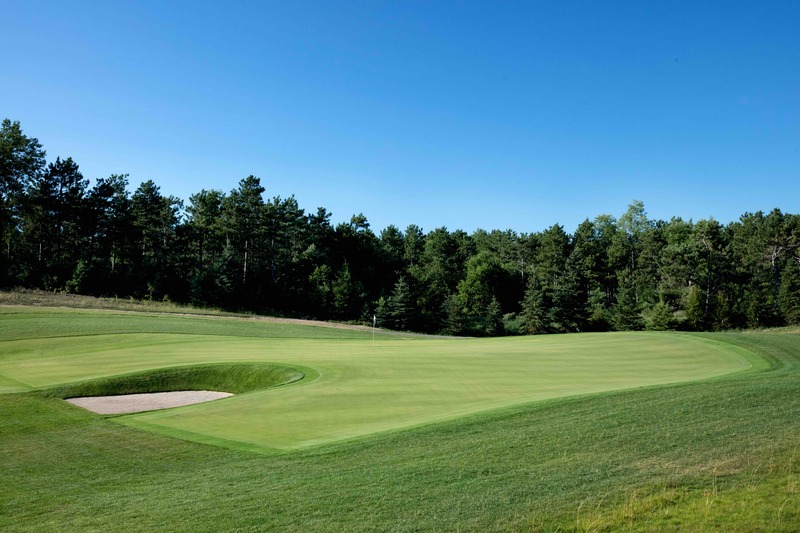 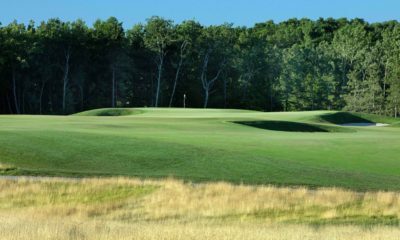 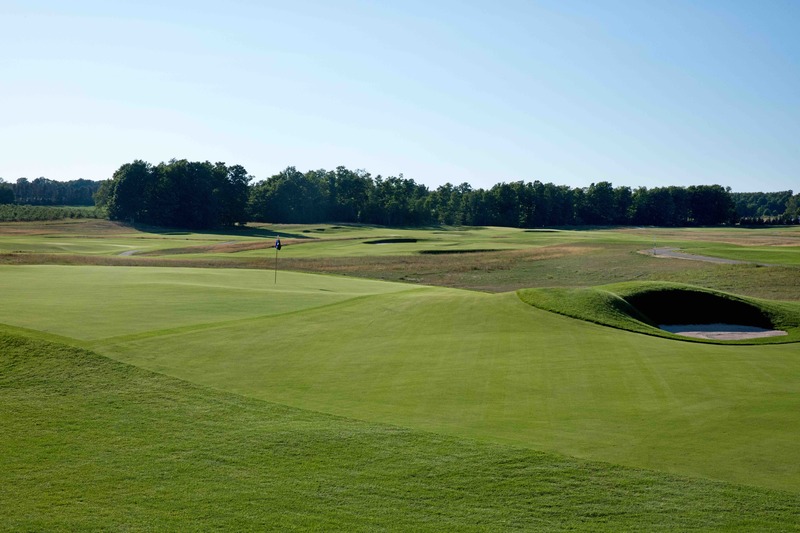 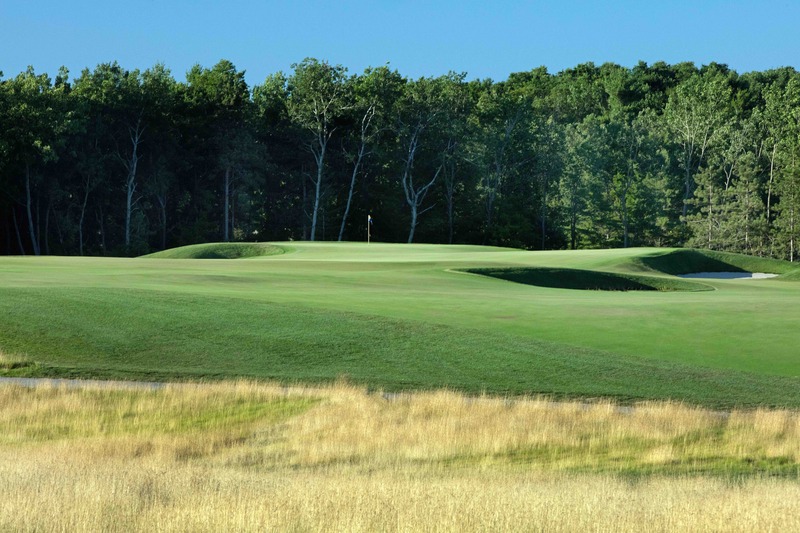 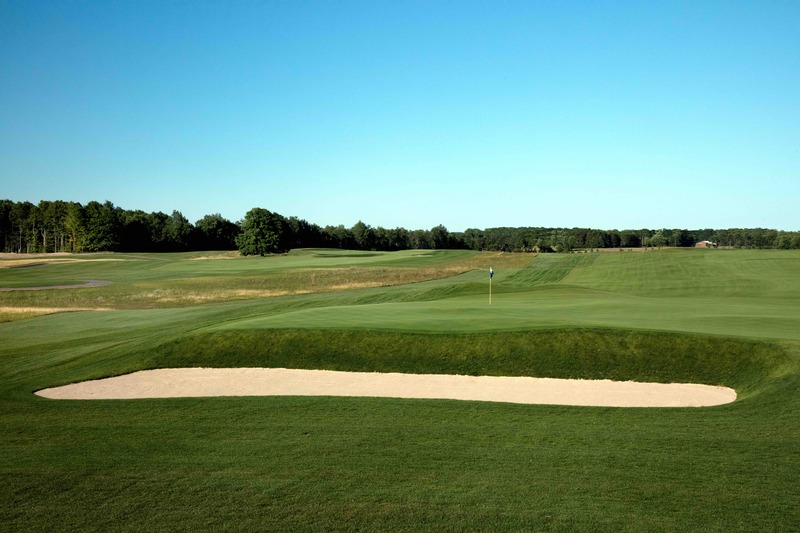 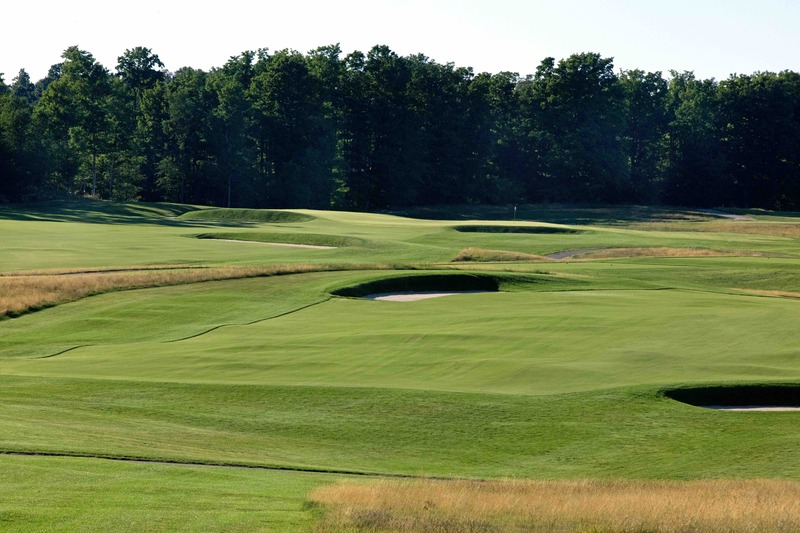 There are no features higher than the greens surfaces, creating a very bold look with the greens defined by a strong grass face and ribbon of flat sand. 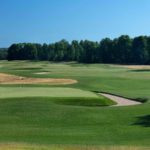 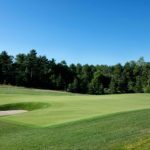 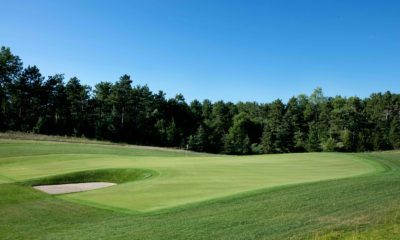 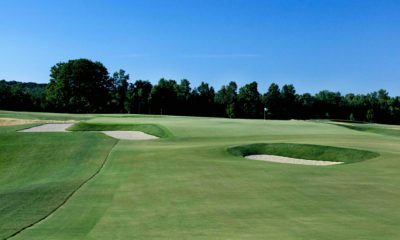 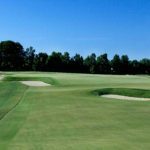 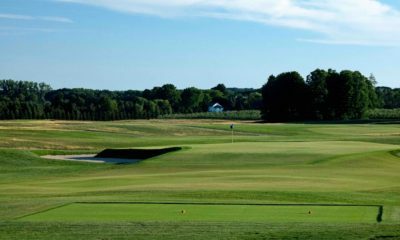 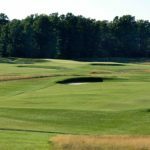 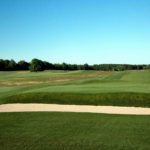 The greens are large in area, averaging over 9,400 square feet, and quite often squared off in their shape in one or more of their corners. 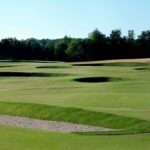 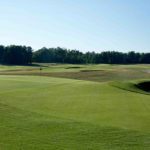 Pinnable areas are separated into different sections using swales, ridges, slopes and isolated bumps. 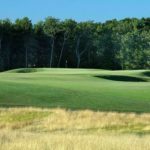 Because of the large size of the greens, these internal contours are most often what will set the strategy for approach shots. 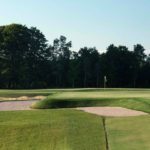 Contours can be used to a player’s advantage to get close to the hole but may feed balls from misplayed shots into adjacent bunkers or leave players with long, challenging putts. 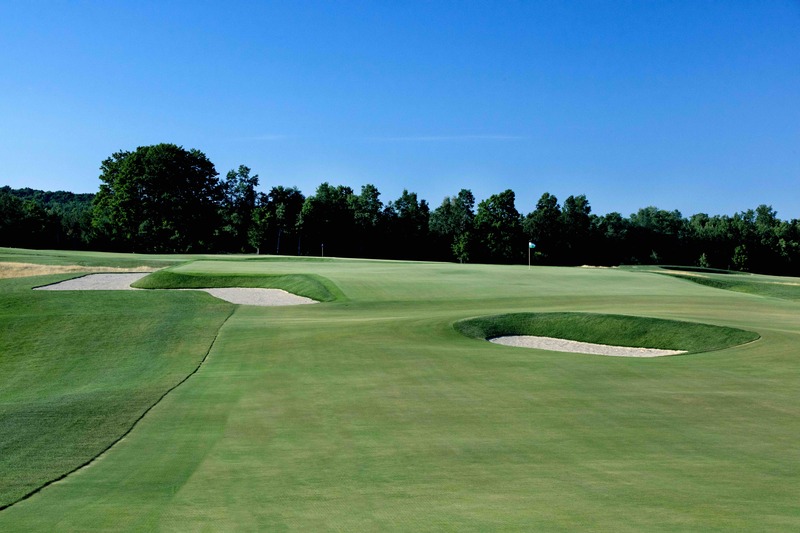 The greens surfaces extend out to the edges of their defined footprint to create more pin locations and bring bunkers into play for poorly struck shots. 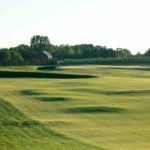 Some have been positioned to create an infinity or skyline appearance, and many have false front approaches or side and rear run offs to create a variety of recovery options. 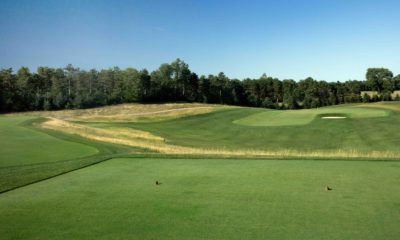 Consistent with the classic courses, the tees at the South Course are rectangular with 90-degree corners. 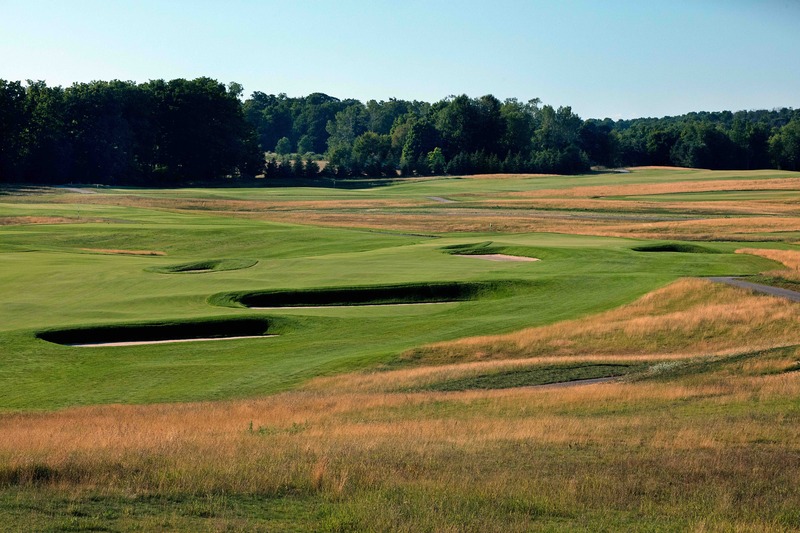 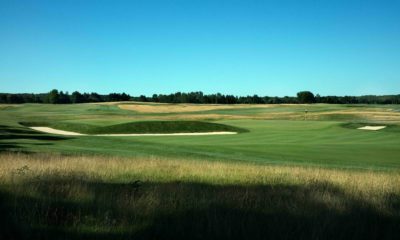 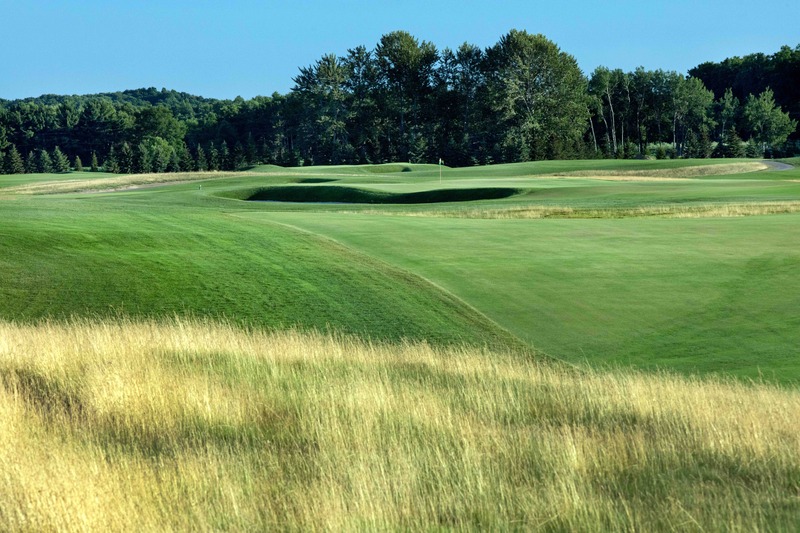 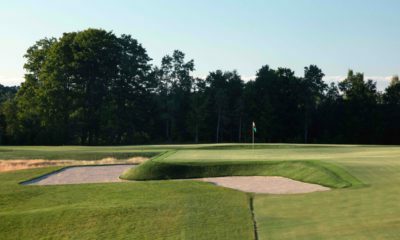 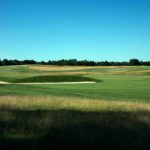 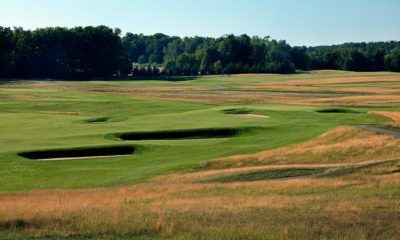 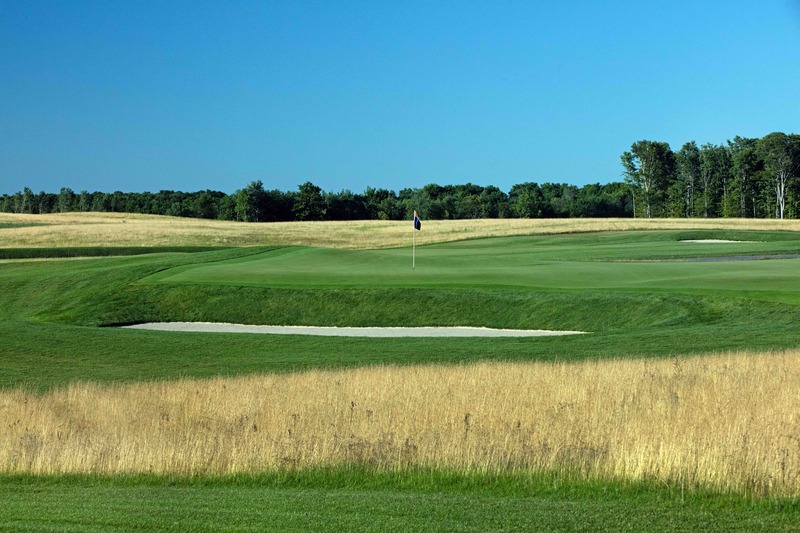 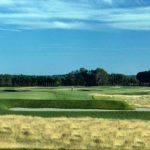 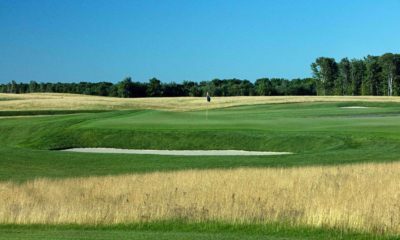 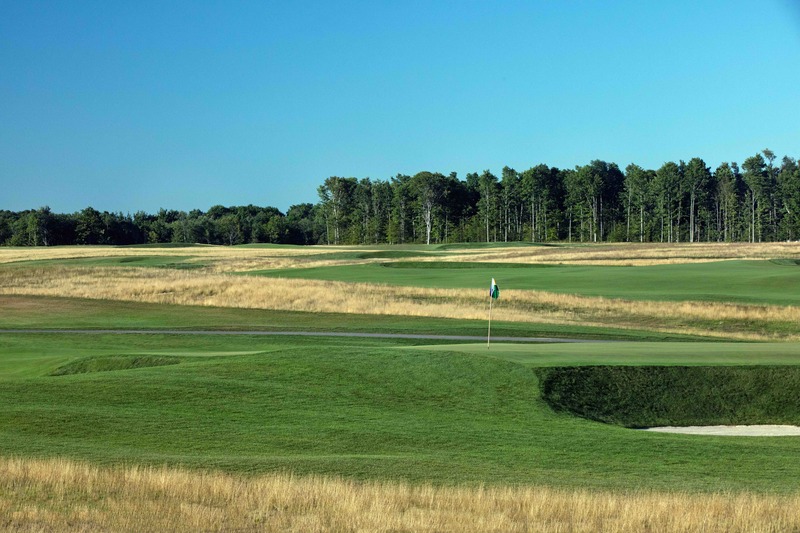 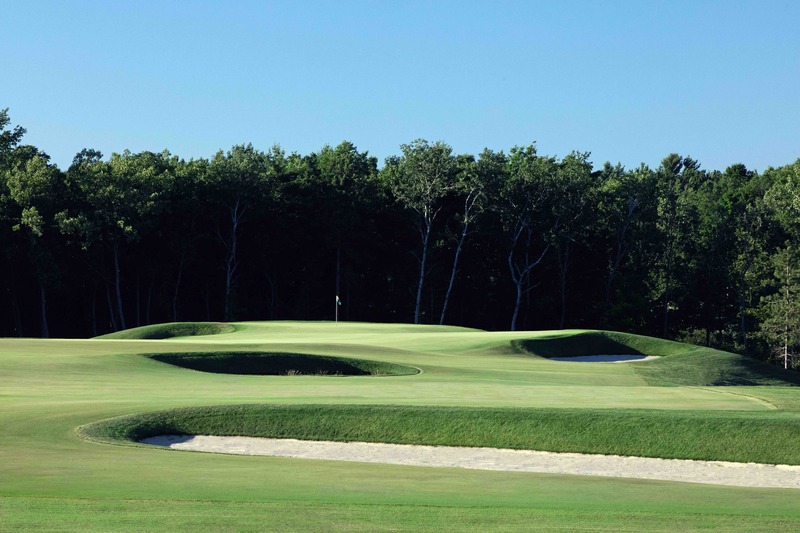 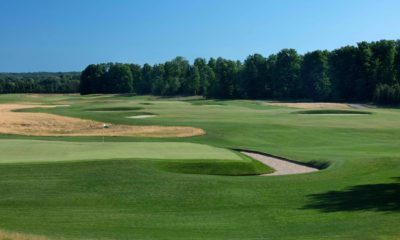 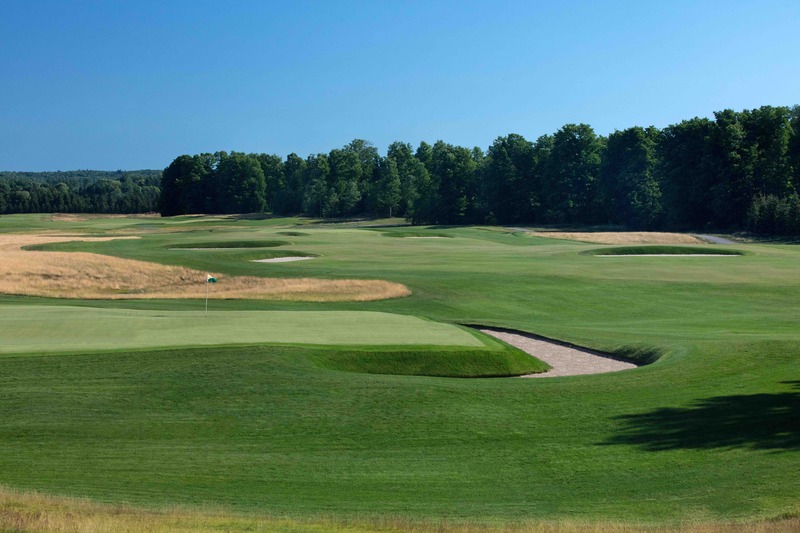 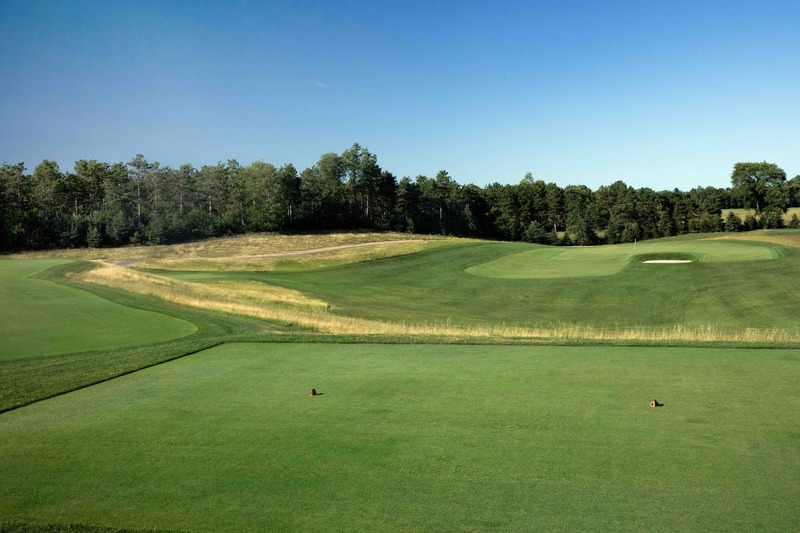 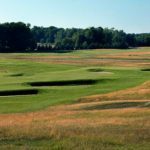 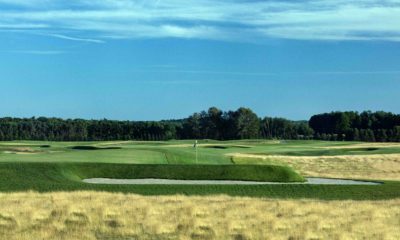 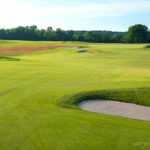 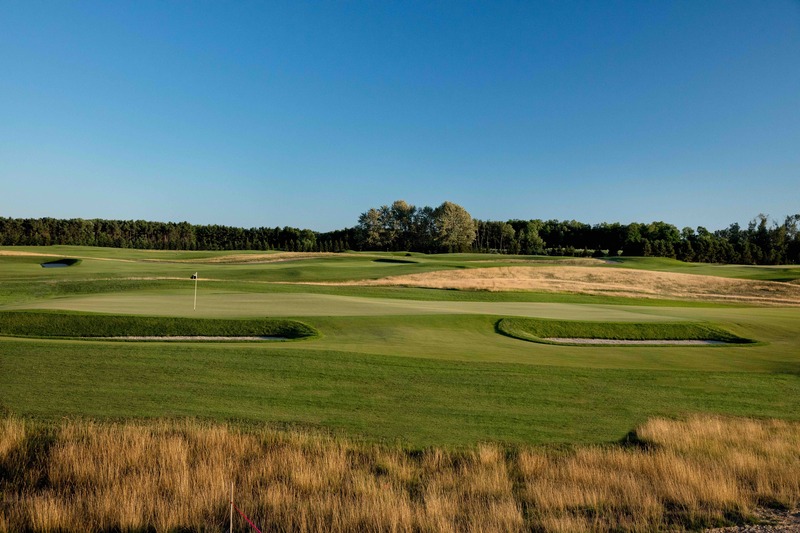 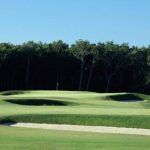 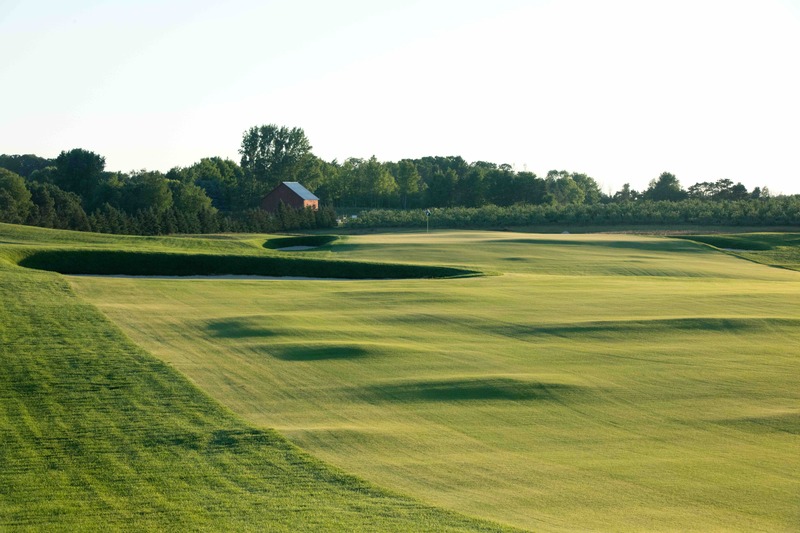 The South Course bunkering style is consistent with the style used by Macdonald and Raynor at Chicago Golf Club and are flat bottomed sand with steep grassed faces in line with play. 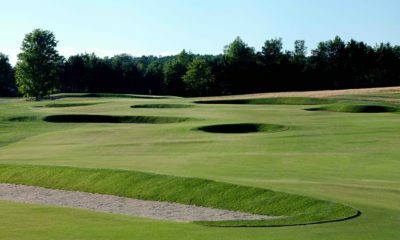 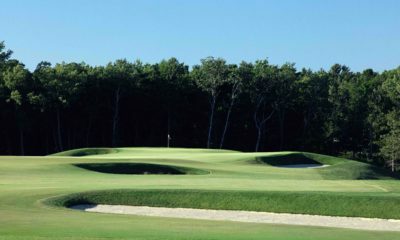 The bunkers consist mostly of straight lines, having used the excavated material to form the intimidating grass faces. 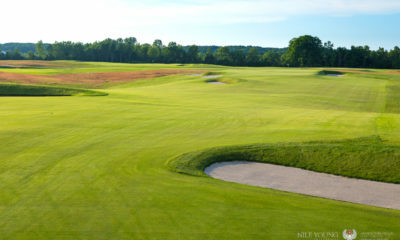 The leading edges of the bunkers are easy to walk into because they tie into the approaching elevation. 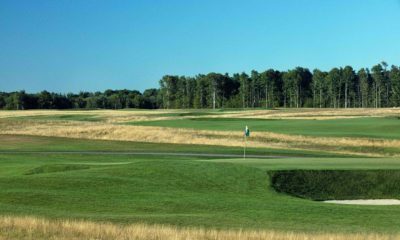 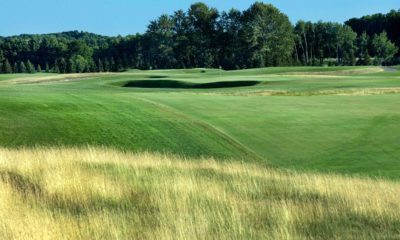 Quite often, the tightly mowed bent grass fairways and approaches lead right up to the sand, encouraging miss-hit shots to reach the hazard. 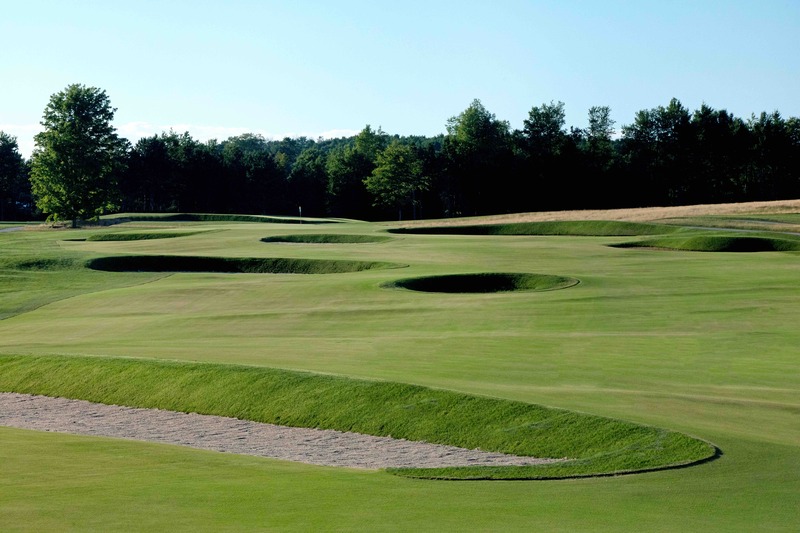 Fairway bunkering is positioned to identify landing areas and optional lines of play. 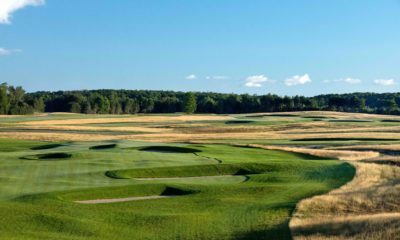 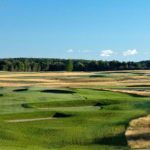 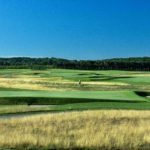 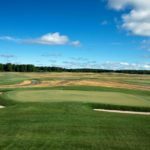 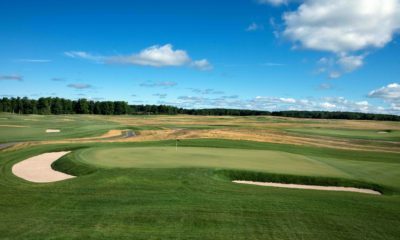 The South Course at Arcadia Bluffs is a tribute to a bygone era in golf course design that few golfers today have ever experienced. 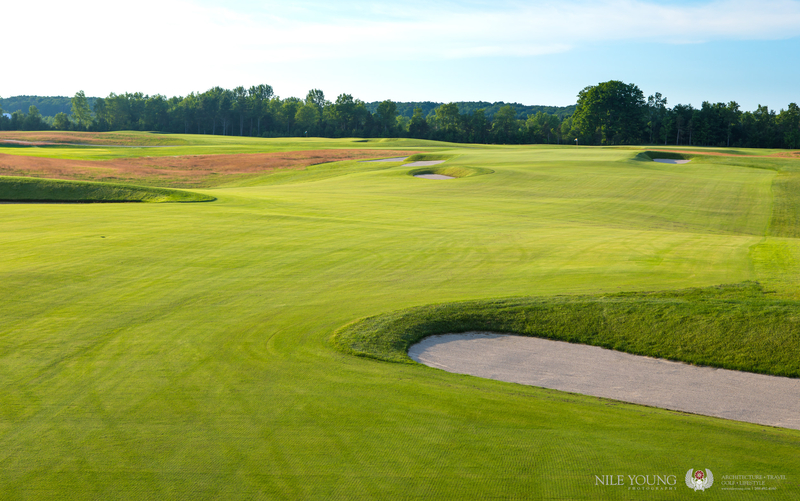 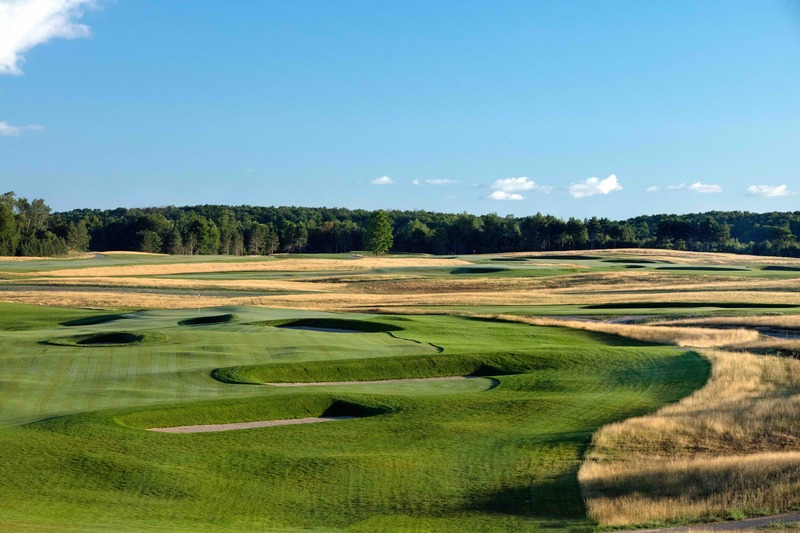 With a focus on strategy, and the thought provoking use of angles, the goal for this new course is to capture the simplistic nature of the courses from the early days of golf in America.